September 18-22, 2017 was Minnesota Bankers Community Impact Week, in which Citizens Bank Minnesota was a proud participant. Across the state, 95 banks and over 250 branches joined forces to serve their local communities. Citizens chose to split its staff of 94 into 13 teams and perform Random Acts of Kindness throughout the communities they serve. Citizens employees were able to impact 11 organizations and over 425 individuals. Some of the acts performed were providing healthy snacks to Davita Dialysis Center in New Ulm, serving hot dogs to the community in Lafayette and bringing a football jersey along with snacks to a local student who was recently hurt while playing football. Launched by the Minnesota Bankers Association, the Community Impact Week creates an opportunity for banks to highlight the many volunteer opportunities available to help build stronger local communities. Citizens and their employees were proud to be a part of this effort! Check out our video to see the businesses and individuals that Citizens impacted this year! Citizens Bank Minnesota employees were excited to help families in need this Holiday Season. Our main office in New Ulm as well as our three branch locations in Lafayette, La Salle and Lakeville each adopted an area family. Money was donated by employees, raised through a bake sale and free-will donation luncheons, making is possible to donate $3,223.00 in gifts for these families. Our New Ulm office went through Brown County Family Services Adopt-A-Family program and helped a family of eight, providing some much needed daily items along with several fun items for the children! They also helped a small military family, in which the husband is in basic training. 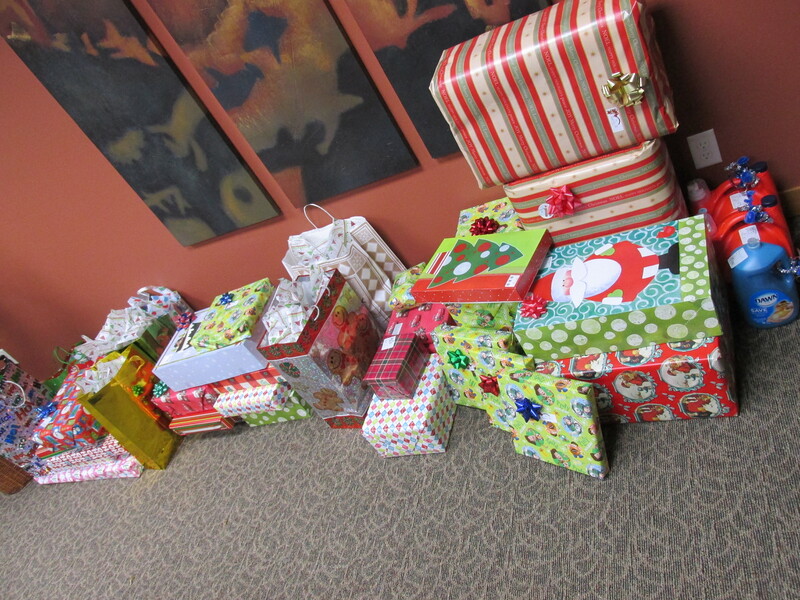 In Lakeville, our employees were able to help two families, each with two children, through the Armful of Love program! They bought them basic household items along with clothing for all family members. Our La Salle office heard of a family with young children in need of beds this holiday season. Two of the children were sharing one small bed. One employee had two single beds that were no longer being used, so she donated them to the family. Employees were able to buy mattresses and new bedding for the children, along with some other clothing and household items. The kids were thrilled to each have their own bed! The thank you’s we received were enough to bring tears to our eyes. In Lafayette, our employees were able to help a local elderly widow, living alone and on a fixed income. Her washing machine broke and she didn’t have the funds to buy a new one. Our employees were able to raise enough money to buy her a new washing machine and surprised her with a “special delivery” one afternoon. She was overcome with joy and gratitude that her friends at the bank would do this for her! Citizens Bank Minnesota employees were excited to be able to help out families in need again this Holiday Season by doing Holiday Random Acts of Kindness for the second year in a row! Our main office in New Ulm and our three branch locations all adopted an area family, with our Lafayette office also bringing gifts to the area nursing home. Money was donated by employees, and also raised through a bake sale and free-will donation luncheons, bringing in over $1,450.00. The bank then made a match donation of $1,300.00 – making it possible to donate $2,750.00 in gifts for these families! Shopping was done and numerous household items, clothing, groceries and toys were bought. Employees took pride in wrapping everything up in colorful paper and bows, wanting to make the Holidays as special and memorable as they could for the families, especially the children. 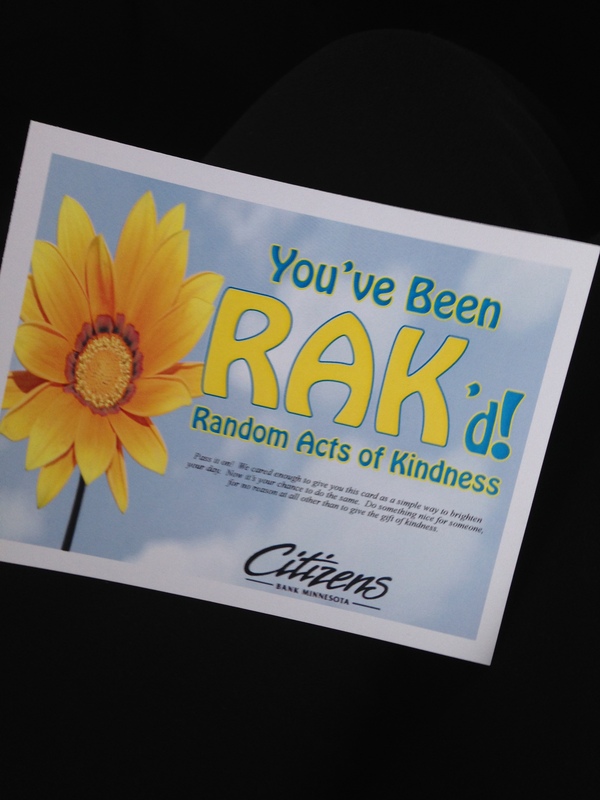 Citizens Bank Minnesota’s Random Acts of Kindness Continue! 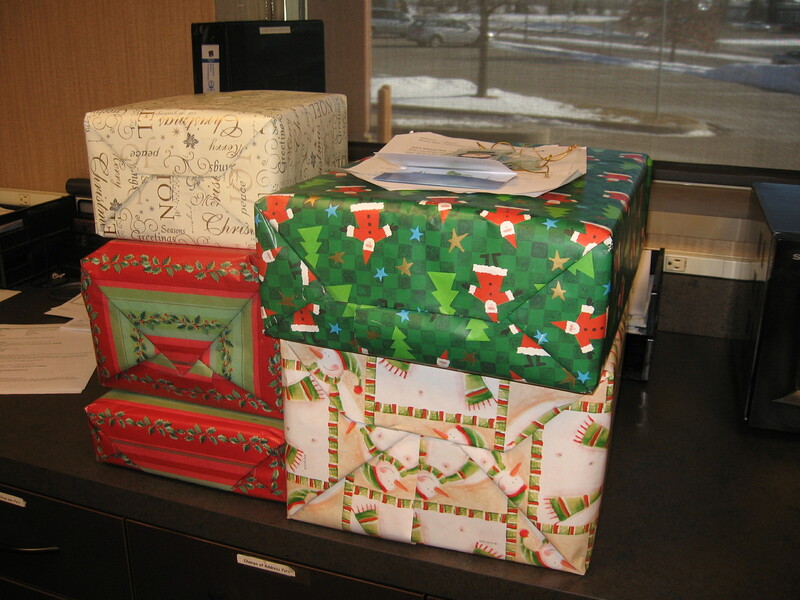 In November of 2013, Citizens Bank Minnesota employees participated in a few Holiday Random Acts of Kindness. The acts of kindness brought such a good feeling to our employees, knowing that they were making a small difference in the lives of others that they decided to continue doing the random acts of kindness throughout the year. In January, a team of six employees from New Ulm’s main office, and the entire Lafayette branch, each got together and decided on a random act of kindness (R.A.K.) to perform. 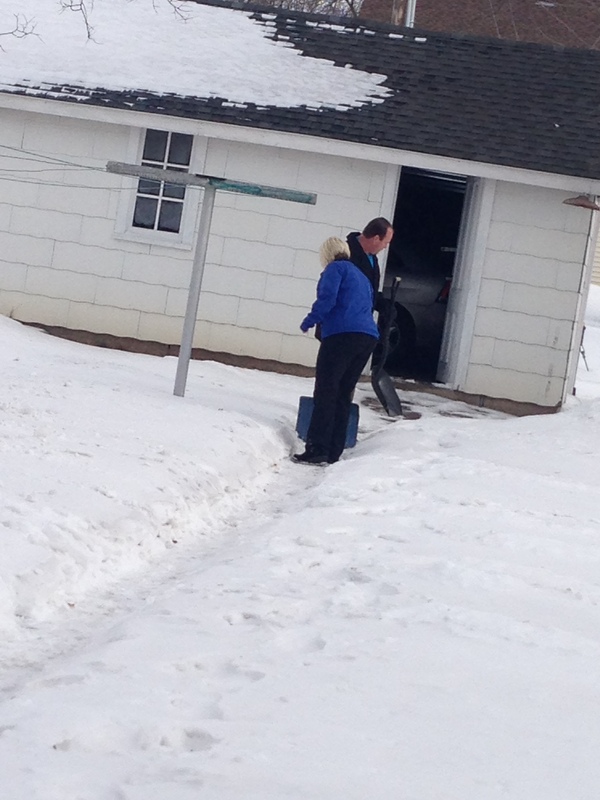 The group from New Ulm went to the home of a co-worker who was on maternity leave, brought her family dinner and shoveled their sidewalks for them. They also went to a local café, Stone Soup, and paid for a random patron’s meal. 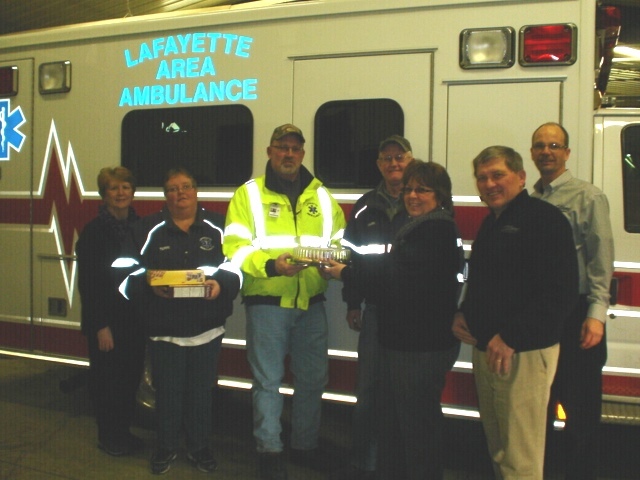 The Lafayette staff paid a visit to their local ambulance squad to thank them for all of their dedicated service to the Lafayette area. They delivered crackers and a meat and cheese tray to them at their monthly meeting as an expression of their gratitude. 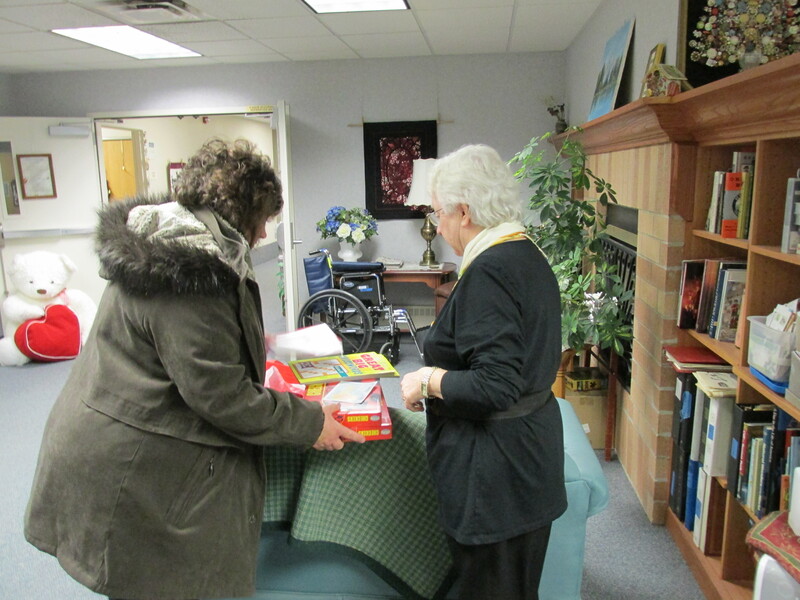 In February, a team of six from New Ulm bought new games, a puzzle, puzzle books and 14 decks of cards and delivered the items to Oak Hills Living Center one morning while the residents were having breakfast. 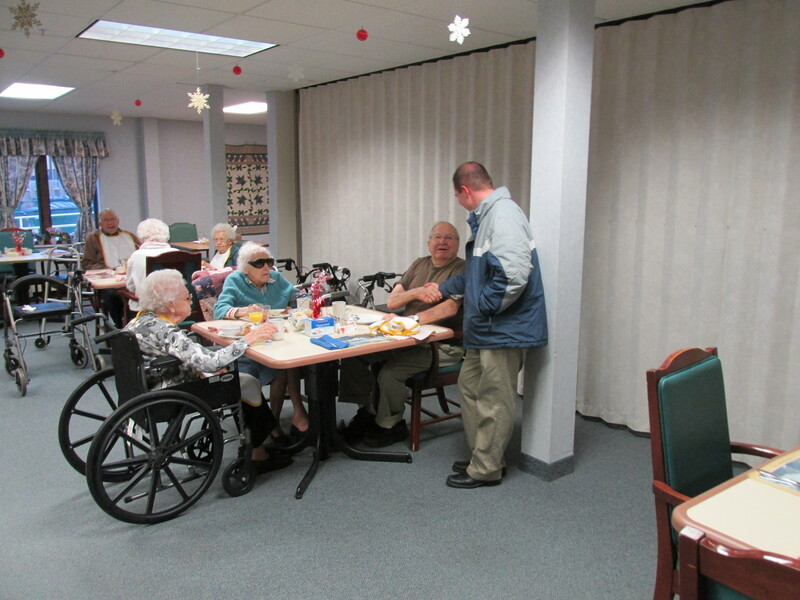 The residents were very grateful for the gifts! 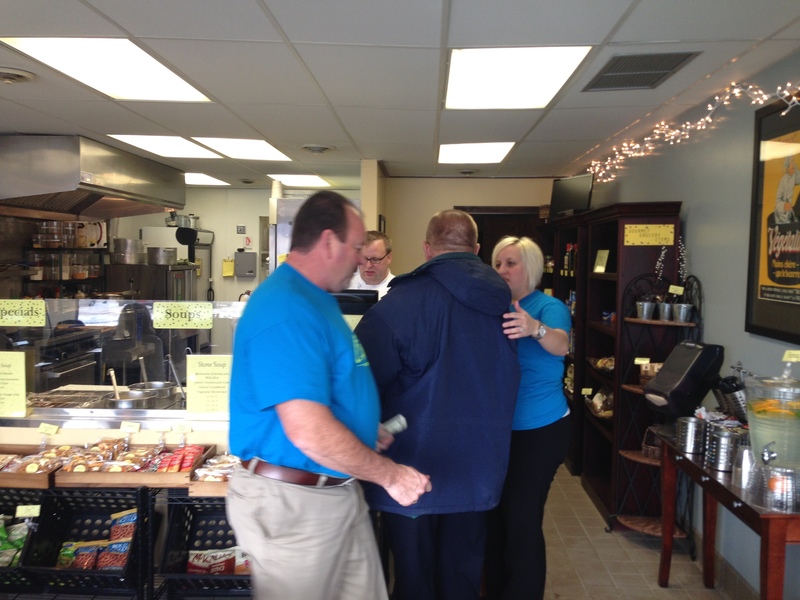 The employees at Citizens look forward to hearing about what each team does for their R.A.K. and enjoy seeing the photos that were taken during each visit. Be sure to check our Facebook page for future updates and photos from our monthly R.A.K.’s!